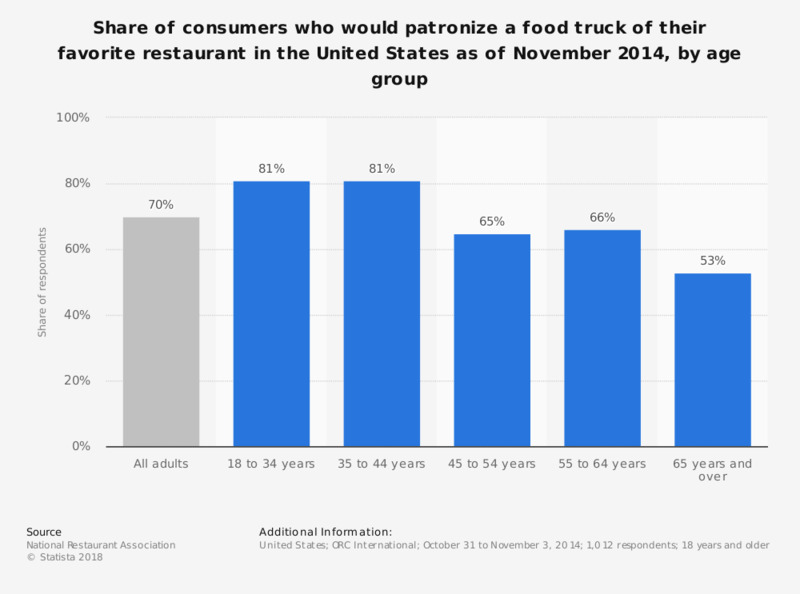 This statistic shows the share of consumers who would patronize a food truck of their favorite restaurant in the United States as of November 2014, by age group. During the survey, 70 percent of all respondents said that they would patronize a food truck if their favorite restaurant offered it. In 2015, the value of the food truck industry in the U.S. reached 856.7 million U.S. dollars.